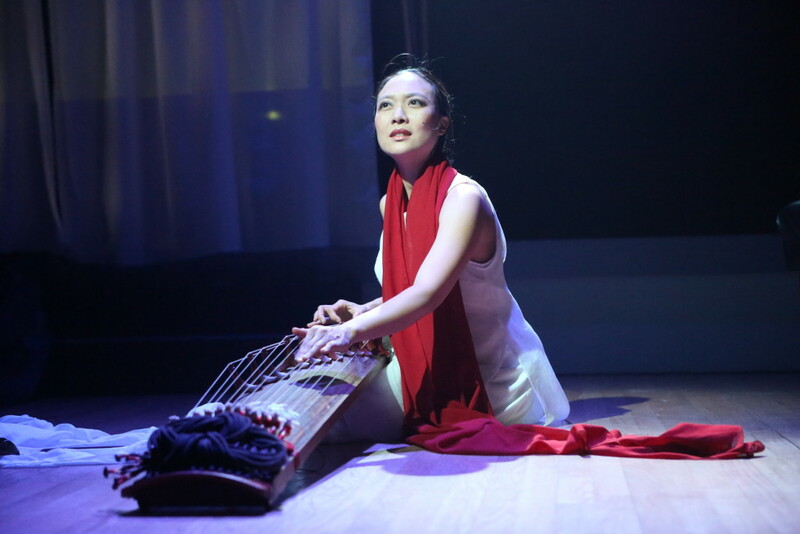 Born in Peoria, Illinois, USA, from Taiwanese and East Timorese parents, 2014 Doris Duke Impact Award recipient Jen Shyu is a jazz vocalist, composer, multi-instrumentalist, dancer, producer, and Fulbright scholar. What is the most challenging aspect of collaboration, and what is the most rewarding? Phoenix. Collaboration is a sacred, precious, and intimate thing. Who your collaborator is means everything. If the collaborators are the right people, then everything flows. There is trust and surrender of control, and with the right collaborators, this is a most liberating and cathartic process. The give and take is beautiful, and those involved are expanding each other into their better selves and beyond. The most rewarding thing is then taking each other to new realms that, alone, would be impossible to reach. Example. When I asked Garin Nugroho, the brilliant filmmaker from Indonesia (Opera Jawa, Puisi Tak Terkuburkan, Under the Tree, Daun di atas Bantal), to direct my first solo opera, it was the first time I worked with a director for my own work, and it was also his first time directing a solo performer. I was used to producing, directing, and doing all myself, and he was used to directing a cast of hundreds for large-scale film and stage works. What resulted was a work that came together instinctually and naturally over a period of three years. I relied on him to make sense of and edit the last 10 years of my favorite fieldwork video and research throughout Taiwan, East Timor, Indonesia, Vietnam, South Korea, all of which I loved and could not let go, being too close to it. His edit became the backbone of the opera and set up the basic structure, which would take the audience through seven thematic and geographic worlds where I had done my fieldwork, which in Indonesian he called, “Peta Upacara,” meaning “Ritual Map”. He determined the title should be “Seven” representing these sections, and of course seven happened to be my lucky number, so there was a mystical alignment already from the start. Then I added the “Breaths” and “Solo Rites” to the title. And we filled in the worlds with the music—some were traditional pieces near and dear to me that I had internalized from my teachers, and the rest were original pieces that were inspired by these traditions. 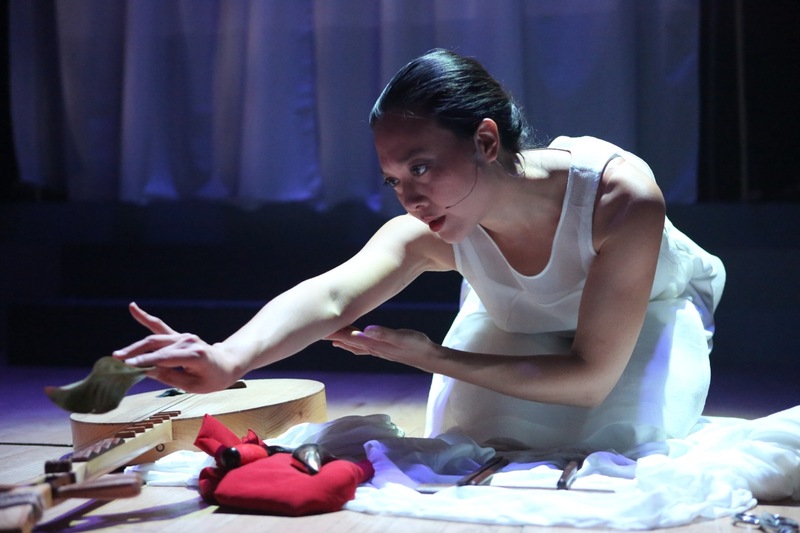 Connecting everything was dance and theater, where he brought in his own imaginative version of “shock,” where he had me use objects and instruments as masks, animating everything, not taking any moment for granted, steeped in his lifetime of witnessing ritual all throughout Indonesia. People come from worlds of their own—when those worlds are strong and grounded, the impact upon your own world is permeating like an earthquake. Your totems and treasures crumble, but out of the rubble, new entities arise that only you and s(he) could have made. Phoenix. What things outside of music are you currently developing (perhaps ultimately for the purpose of developing your music)? I’m actually writing this in a cafe in Seoul, where I am taking an intensive Korean language course and in my free time, continuing my studies in Pansori, Binari, Gayageum Byeongchang, and other vocal traditions. I will always be making things, so all of this study will be revealed eventually, somehow. My dream is to learn as many languages as possible. More of the dream is not only to be able to communicate and connect with as many people as possible, but to connect them to each other—especially people in conflict—through spoken language as well as through music, movement, energy, and shared experience. To be able to improvise, think, create text and narrative in multiple languages is part of realizing this dream. I am also obsessed with doing fieldwork and searching for disappearing music and dance traditions around the world and diving into them. I also try to draw attention to these traditions and encourage as many locals as well as outsiders to cherish and embrace these traditions, to understand them as living and breathing entities that are in danger of disappearing. How to preserve without destroying the life of the thing itself? How to make it economically possible for the younger generations to learn these traditions from their elders, when they usually have to move to the big cities or other countries for schooling and work, thus losing their native language and the traditions? How to confront poverty, which so many keepers of these traditions sadly live in? These are the pressing questions that I feel I have a long way to go in answering or even beginning to strategize. From here, one quickly enters into socio-economic, political, and environmental issues, which artists often try to stay out of, but it’s impossible as everything is connected. What role, if any, does spirituality play in your life and in your work? Spirituality plays perhaps the biggest role in both my life and work. Do you ever feel a responsibility to incorporate or address certain issues in your art? And if so, do you ever succumb to that feeling of responsibility? It seems that this question is already loaded with the word “succumb,” as if to suggest responsibility is a negative thing. It’s not that simple. I just make the work I want to make. I do feel that with the tools I was born with and where I was born, so far away from my parents’ respective homelands, my contribution in this lifetime is to create work and address issues that are being ignored and that I care about as a woman of color with multiple identities. I feel it is my job in this universe to make work that perhaps no one else wants to make for whatever reason. However, this is just a result of my making the things I wish to make. I am interested in making honest work, and I am honestly concerned with certain things, so hopefully, that automatically comes out in everything I do. To what degree are you deliberately experimenting, or deliberately creating structures that facilitate experimentation, in your music? To what degree is what you naturally express (externally) deemed experimentation? A bit like my answer for the previous question. I don’t do things just for the sake of being different. But if I stay true to my nature, my natural tendency is to go for the path of most resistance, of most mystery, and most challenge. I naturally don’t enjoy doing, saying, playing, or repeating things I already know. I am attracted to things which are also seeking and stretching outside of themselves. I follow that which confounds me and wish to go deeper and deeper in this direction. Seeking truth and being true is not easy, and that’s ok. I will always strive for those things until the end of my time here on earth. With what artists (of any medium) would you like to collaborate? See more of Jen Shyu’s work here.